The given value "Wealth Bringer#skill0;0;金運を招く者;Wealth Bringer;[Victory] Additional Coin (+2%) to self / 100%;[?] ? / ?%" contains strip markers and therefore it cannot be parsed sufficiently. 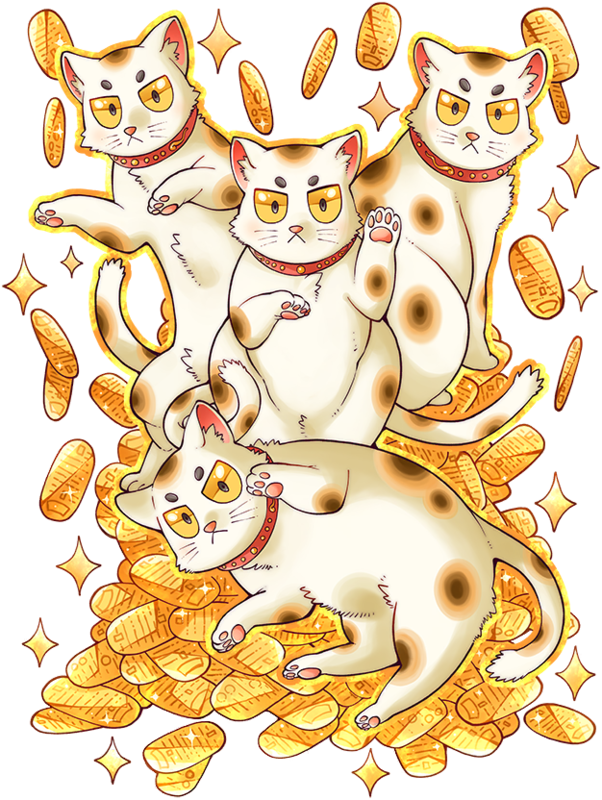 Being accompanied by these cats is said to bring good fortune but they are rare, and possess fickle personalities and free spirits. They are rumored to been seen occasionally in Asakusa. By an extremely rare occurrence, they have tied their fate to yours and decided to accompany you though they are extremly weak and not fit for battle. They are known for a story in wich one of their brethren sacrificed itself to save its impoverished master. This page was last edited on 25 August 2018, at 01:00.